From Chicago to Houston to South Portland, Maine, the urban chicken movement has taken hold. More and more city folks are raising the birds right in their own backyards. Some love the idea of fresh eggs; others appreciate the back-to-the-land aspect of tending to a flock. There are animal rights advocates, however, who worry about the long-term welfare of the feathered fowl. 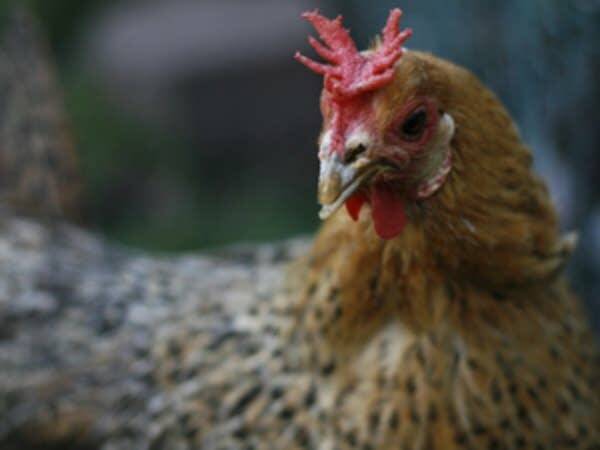 As the number of city dwellers with chickens has risen, so has the number of birds being abused and abandoned. And local animal control departments are finding stray chickens everywhere from neighborhood alleys to downtown parking ramps. In the midst of this all, one Minneapolis woman has taken on the chickens' cause. Mary Britton Clouse is the founder of Chicken Run Rescue, a rehabilitation center and foster home for hens and roosters. The long-time animal advocate has found adoptive families for over 600 needy birds.